The World Flying Disc Federation (WFDF), in cooperation with the Professional Disc Golf Association (PDGA), is releasing the world rankings for disc golf by country for the first time. World Rankings are expected to become an increasingly important tool in deciding on the inclusion of countries in multi-game sports formats in the future, as events sanctioned by the International World Games Association, World Masters Games and International Olympic Committee demand a critical and objective means for selecting teams. 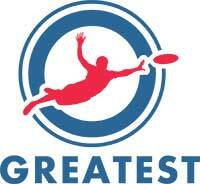 The WFDF Disc Golf Committee worked extensively with the PDGA in developing the ratings system. The United States tops the rankings, followed by Canada, New Zealand, Finland, and Estonia. Rounding out the top ten are Sweden, the Czech Republic, United Kingdom, Germany, Japan. A total of 40 countries are currently ranked. The totals of points gained from PDGA Ratings and WTDGC events are added together to give an overall points total. World Rankings are then determined with the highest score receiving the highest Ranking. Under the system used this currently represents an approximate weighting of 60% for PDGA Ratings and 40% for WTDGC results. The World Ranking will be revised every six months on January 1st and July 1st, or immediately after the bi-annual WTDGC. 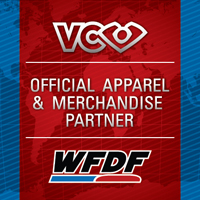 WFDF Disc Golf Committee recognizes that, as a first attempt to create a World Ranking for nations, there may well be factors that need to be included in future criteria. A revision of any or all criteria for generating a World Rankings list will also be reviewed on a six-month based on feedback from WFDF members, PDGA and PDGA Europe Board of Directors and officers.